More Music - over 50 Demos, Musical Ideas, Riffs, Snippets – all unreleased! Song Tabs and much more! 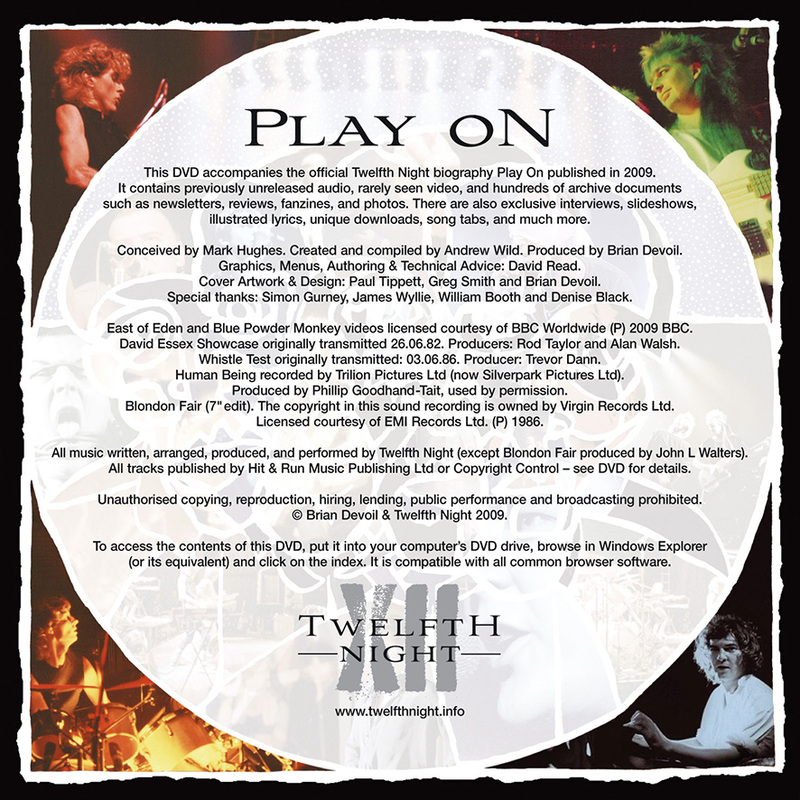 The Play On Archive is the DVD issued with the official Twelfth Night biography Play On, which was published in 2009. 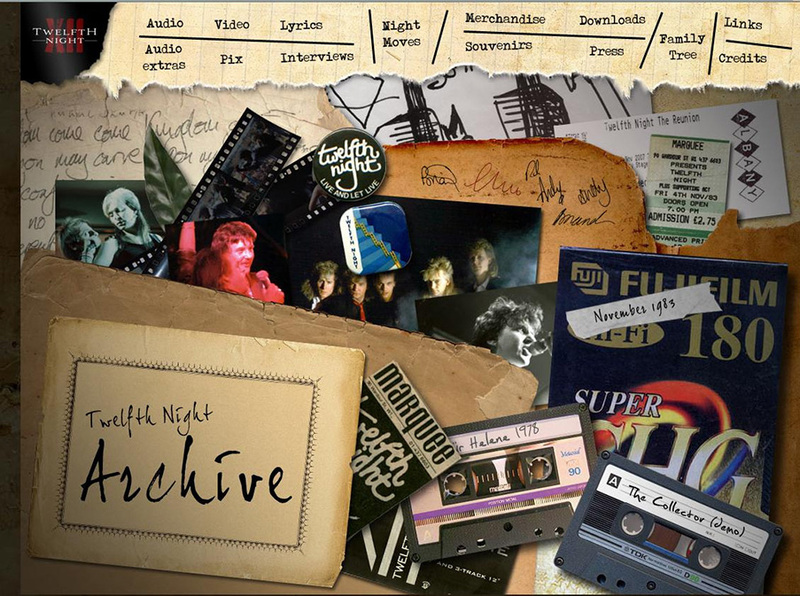 It contains over 40 previously unreleased/unseen audio and video tracks, and hundreds of archive documents such as newsletters, reviews, fanzines, and photos. In addition to this are exclusive interviews, slideshows, illustrated lyrics, unique downloads, memorabilia, song tabs, and much, more! 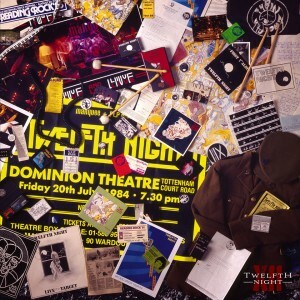 The Play On Archive was conceived by Mark Hughes (‘TN’ archivist and photographer), and created and complied by Andrew Wild (author of Play On). Special thanks are due to David Read for all the graphics, menus, authoring and technical advice. 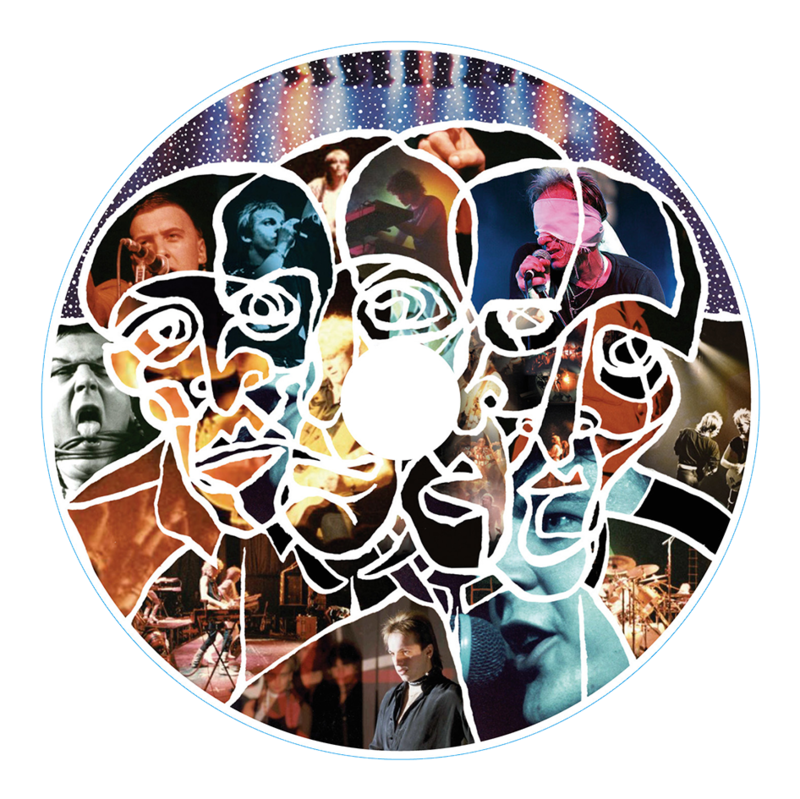 Now available as a stand-alone DVD – it is presented in a simple shrink-wrapped cardboard slip case.